Yes, yes… it’s been a while since my last post. Like, a whole season. I’m so sorry! I spent a ton of time last season travelling and I couldn’t seem to find the time to post. I promise I’ll do a better job of updating for you guys. -After National Team Trials, I raced in a few races on the North America Cup. -I won the Western Regional in Park City, UT. I had a lot of problems with this track in the beginning of the season, but I really think it started to click after spending a solid month there before the race. By winning this race, I have guaranteed myself National Team Trials in October. -I went on the longest road trip of my life. My teammate and I drove my Honda Civic… In JANUARY from Virginia to Calgary, Canada… roughly 3,000 miles. We trained in Calgary at the site of the 1988 Olympics and then drove 1,000 south to Park City, Utah and trained there for a month and a half. Following training in Park City, we drove back to Lake Placid to finish out the season. I know, it seems crazy to drive that much, but we were out west for 2 months. My car gets good mileage and we wouldn’t have to pay for a car rental, which are outrageously priced. Yeah, I can pretty much drive through anything now. What did I learn? 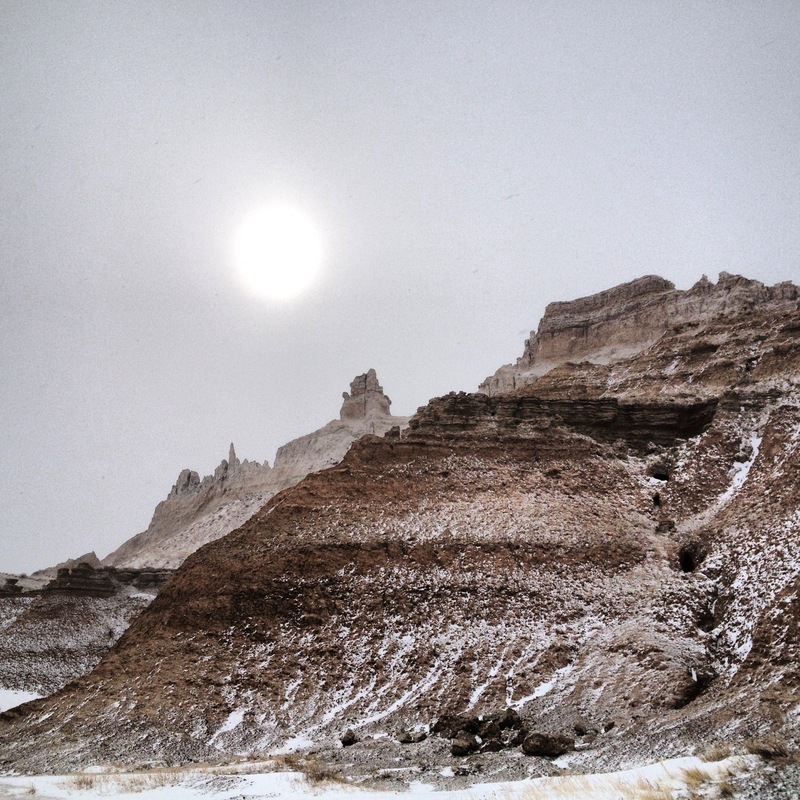 South Dakota is a terrifying state during a blizzard. Adrienne and I took video and documented the whole thing. Gracie (another one of my teammates) drove back with me to Lake Placid and together we’re working on making a road trip video. -Leave Virginia, drive to Long Island and pick up Adrienne. 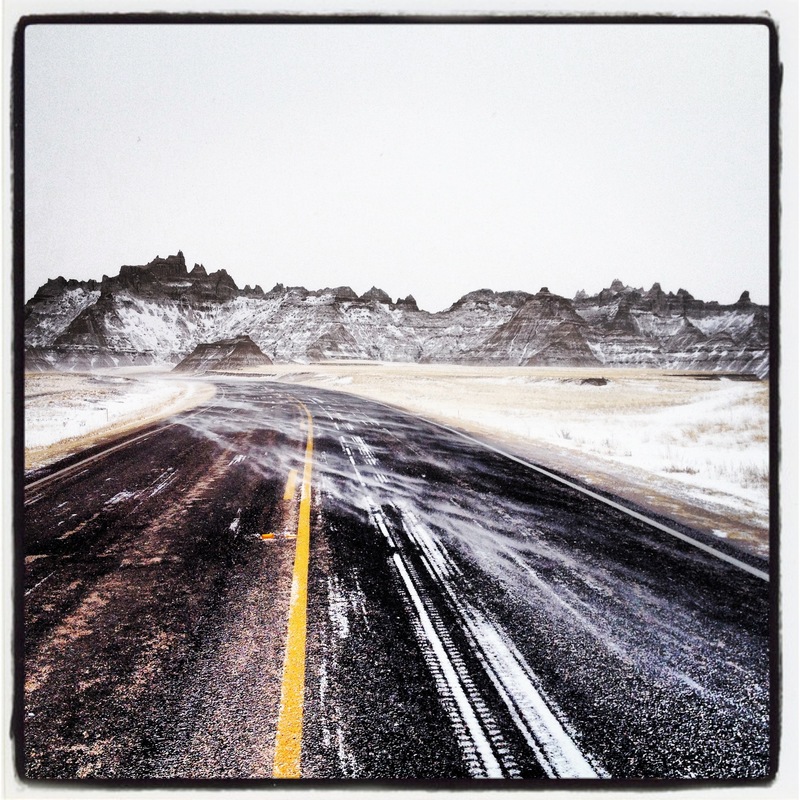 -Drive to Wall, South Dakota during a blizzard. South Dakota is the most desolate place I’ve ever visited. There were 50 mph winds and it was -30 degrees at night while we were driving. During the day it was -10 degrees. 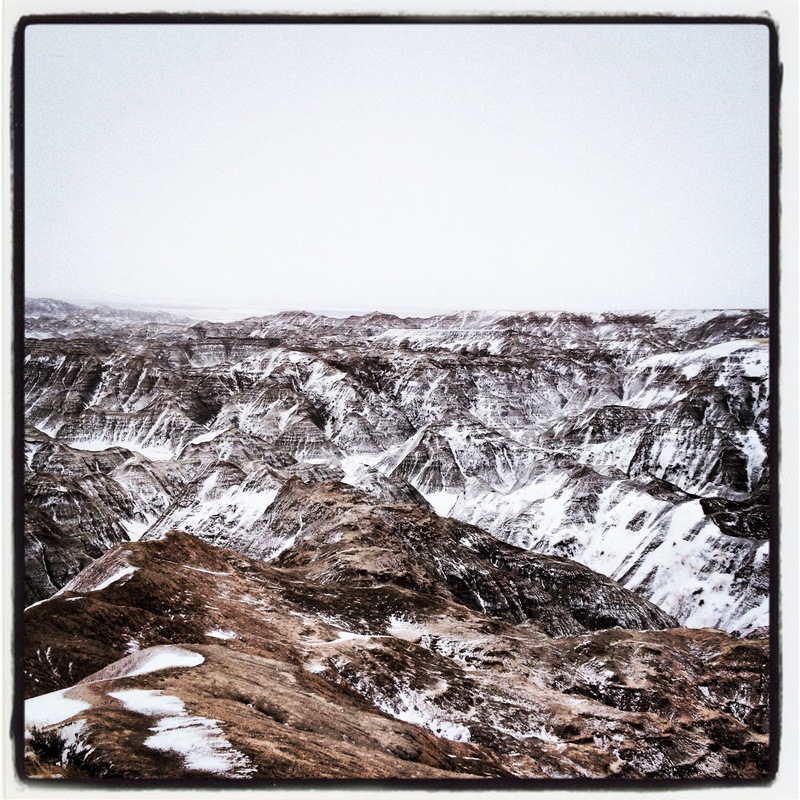 We drove through the Badlands, which I’ve posted some pictures of below. 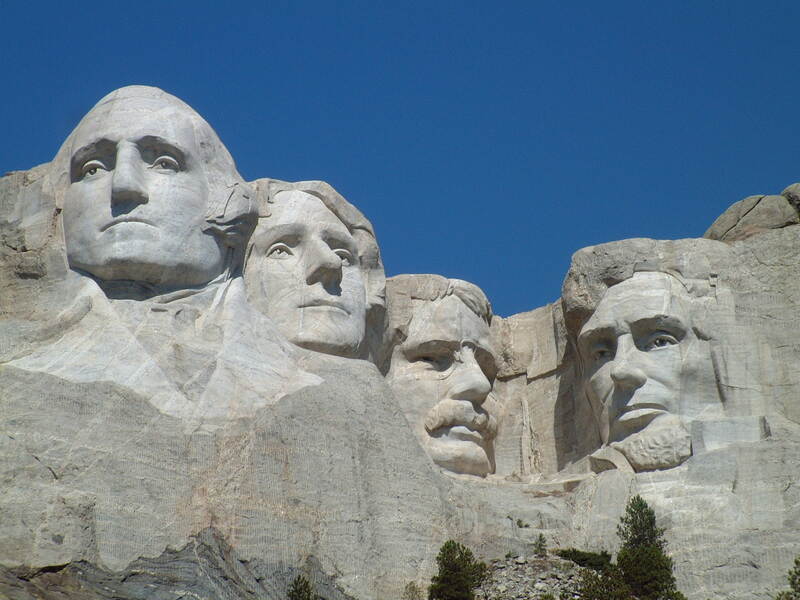 -We saw Mount Rushmore and Crazy horse which are both nestled in the Black Hills. -We drove to Billings, Montana and spent the night there. -We drove to Calgary and stayed with my friend from college, Phil. Phil happens to live about 2 minutes from the top of the track in Calgary. Amazing visit, and a great learning experience for Adrienne and I. We traveled there alone, and trained with the Koreans. No other Americans or Canadians were there. -I saw 2 Bald Eagles on the drive. America!! 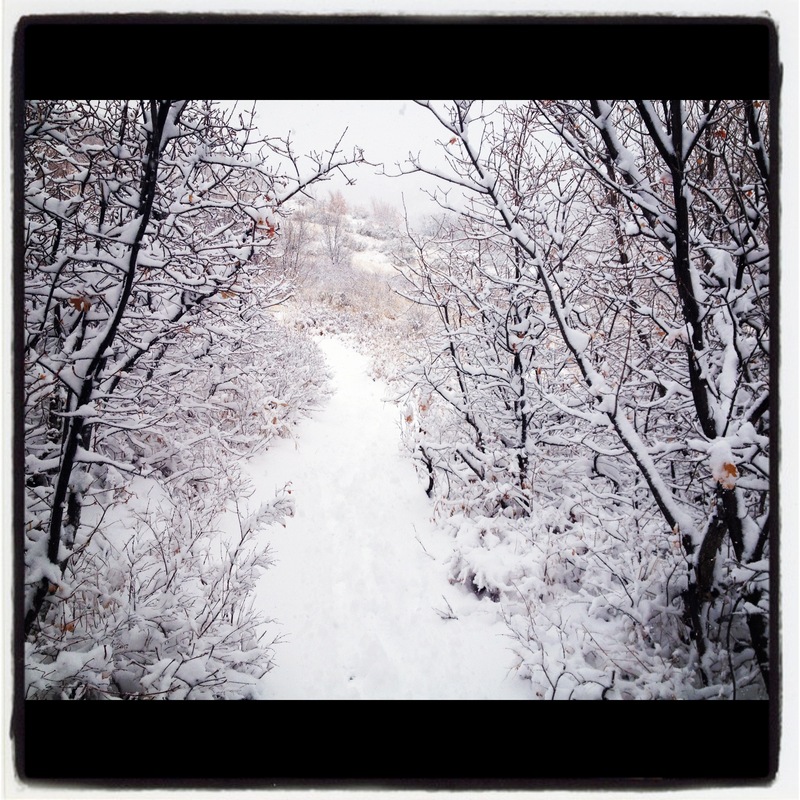 -Following Calgary, we drove to Park City and trained there for a month. This was our backyard. Utah is a beautiful place. In addition, Adrienne and I got there in time to attend Sundance Film Festival. I’d love to go back. We saw 3 movies. Overall, the season was full of ups and downs. Sled problems, confidence in driving, stress… the usual. But honestly, I ultimately I felt like I came out on top and learned some great things. I feel great going into next season. I have more posts, to make so stay tuned!